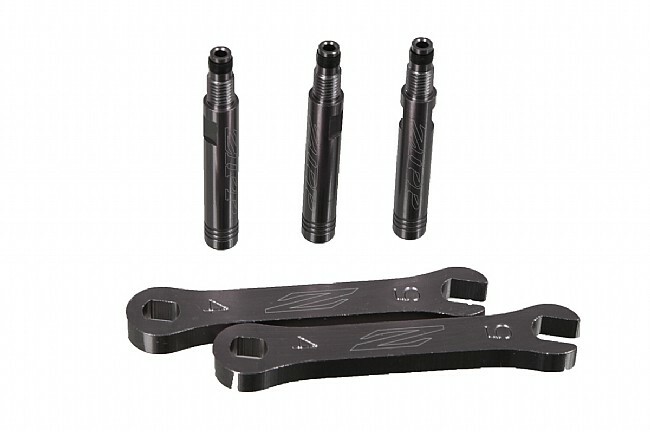 Zipp Valve Extenders have been redesigned for even better performance. 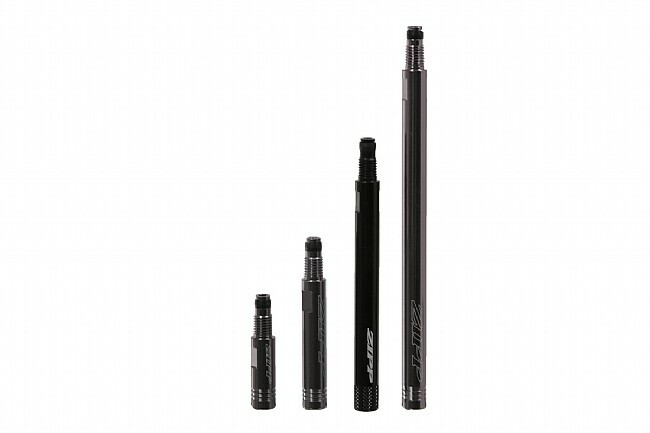 The "inline" alloy extenders included with Zipp's Valve Extender Kit create a more reliable seal compared to "over the top" designs. To install, simply remove your Presta valve core, thread the extender into your existing valve and reinstall the valve core into the extender. A rubber seal at the base of the extender prevents leaks. Includes 3 extensions and two 4mm/5mm valve wrenches per kit. Compatible with Presta valves with removable valve cores. Note: These sizing recommendations are based on a standard 32mm base valve. For shorter valves such as those found on the Zipp Tangente Tubular, it's best to order up one size.